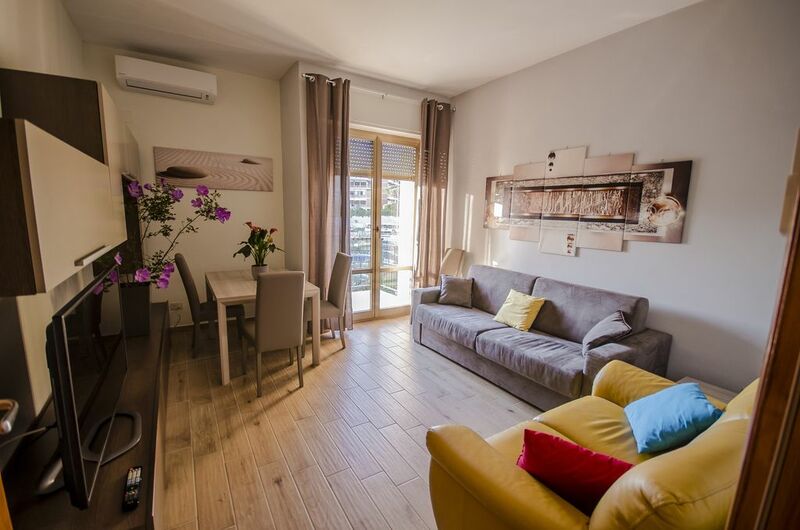 NEW apartment and renovated rooms and new bathrooms; equipped with modern and functional elements; It situated 90 meters from the metro B Rebibbia (in 20 minutes arrives directly at the Colosseum); place near the terminus and stop of many bus lines. Nearby is a large supermarket and several shops. The apartment is easily accessible by public or private services (using the ring road or highway east). Availability of parking spaces. Very good host. Lovely house. Will definitely recommend. Apartment was great and host was easy to work with. The area is a bit run down, but is close to the metro, and some good restaurants. Would definitely consider renting here again! Great place to stay enjoyed it very much . Would recommend it to my friends. As per description. Close to subway & supermarket (200m). 30mn to City center. Check-in & out easy. Appartment was clean and with all equipments needed. Wifi ok.
Très bel appartement. Propre, correspond aux photos présentées. Une cuisine un peu étroite et sans lave-vaisselle. Cependant le métro est à 5 min à pied,très pratique.